Members of ISKF UK including Sora from Hampstead Karate Club will be competing in the ISKF European Championships on Sunday 23rd September. Good luck to all competing! 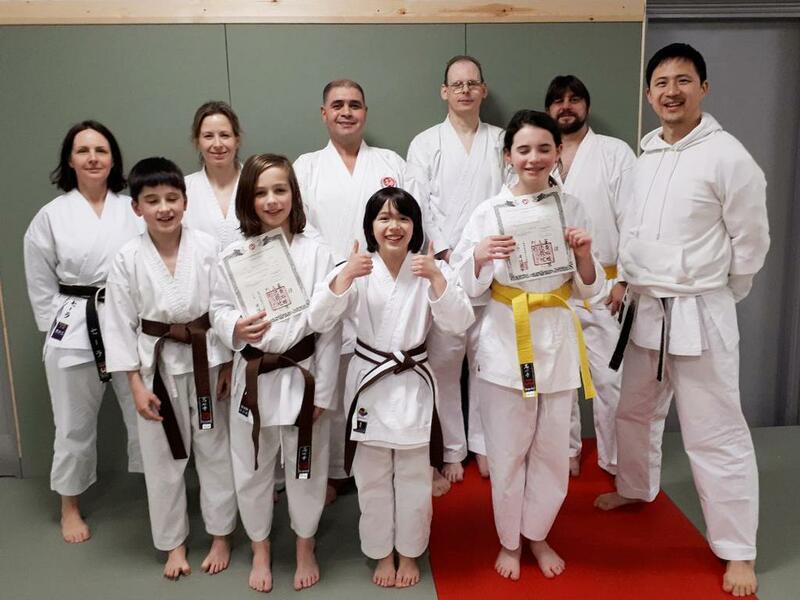 Congratulations to this group for passing their Kyu (colour belt) gradings under UK Chief Instructor Ahcene Moussaoui at the ISKF Headquarters last week. Looking forward to seeing more new colours in the dojo after the April grading! We're on winter break!!! Classes resume Saturday 13 January. Have a good one and see you in 2018. Well done to this little group for passing their kyu (colour belt) gradings! Thank you to Sensei Ahcene Moussaoui 7th Dan for holding the event at ISKF UK Headquarters. Can you see our good friend Salih training with WKF World Champion Jordan Thomas in this video? We hope you had a great summer and that you're ready to start training hard again! Classes are back to 14:30-15:30 and 15:30-16:30. See you in the dojo! Congratulations to this little group who passed the Kyu (colour belt) grading today! There will only be one class for all grades between 2:30 and 3:30pm in August. This year, we are proud to host Sensei David Jones (8th Dan ISKF), Chief Instructor of ISKF Alberta and Chairman of ISKF Canada. Sensei Jones is also a member of the ISKF Technical Committee and is a former Canadian national kumite champion and international competitor. For a full biography, click here. For a YouTube video of Sensei Jones performing a kata in the World Shotokan Cup, click here. Classes resume on Saturday 22nd April. 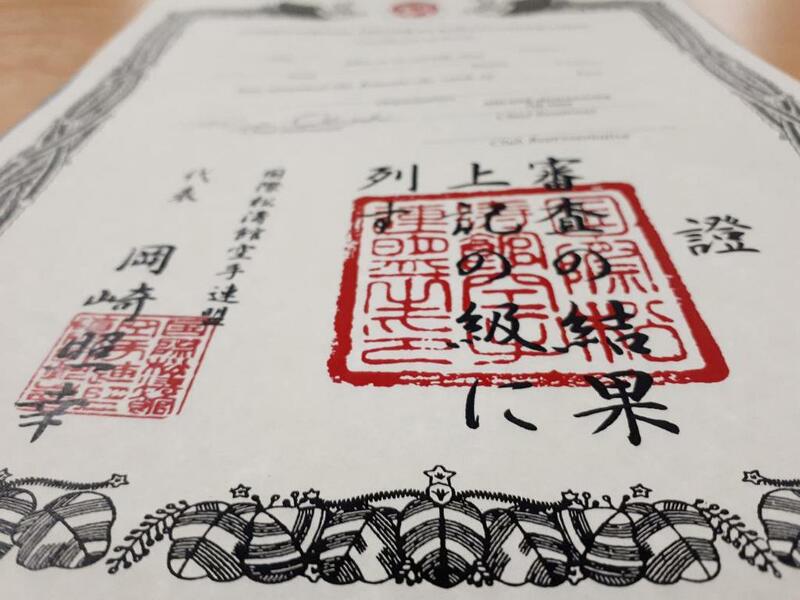 Congratulations to those who passed their Kyu grading on Saturday 26th March. For those who didn't let's train harder and make sure it's a success next time! Congratulations to Keith, Sarah and Krish, who all passed their first grading with ISKF UK Chief Instructor Sensei Ahcene Moussaoui. We look forward to seeing you with your yellow belts! Throughout August, there will only be ONE session on Saturdays. Training for ALL grades is 2:30-3:30pm. Normal training times resume in September. 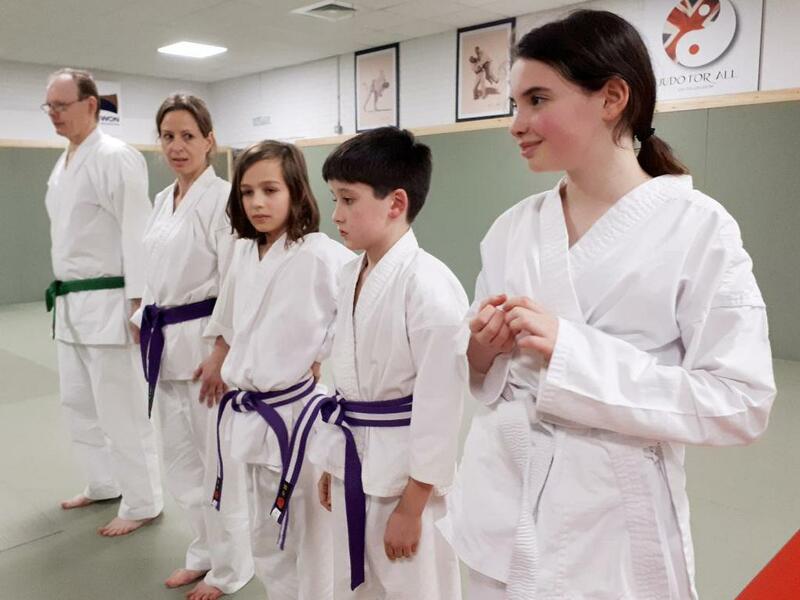 Congratulations to the 13 individuals who passed their kyu (colour-belt) gradings on Sunday 10 July at ISKF UK Headquarters. Training will resume on Saturday 30th July. Annual ISKF spring course report - read it here! 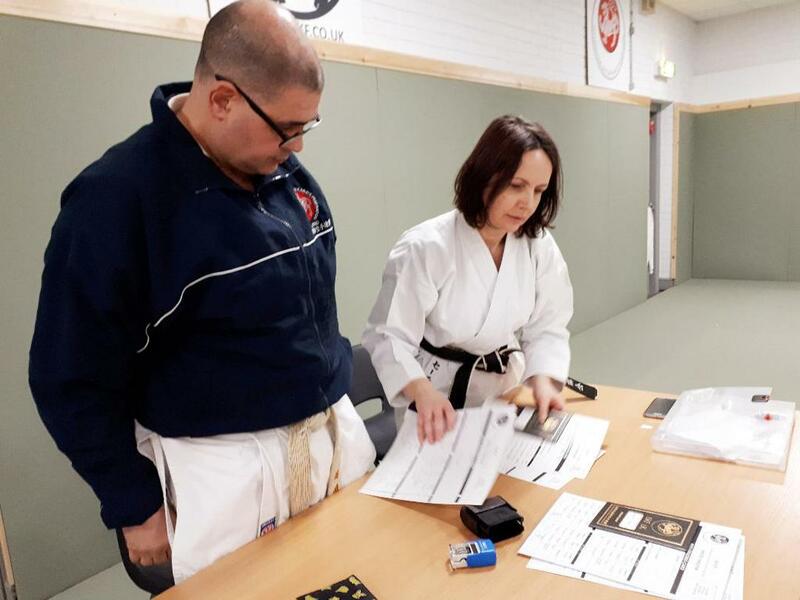 Bookings are now open for the weekend course with the superb Hiroyoshi Okazaki 8th Dan, Chairman & Vice Chief Instructor of the ISKF. Details available from the Club Secretary. Don't miss it! 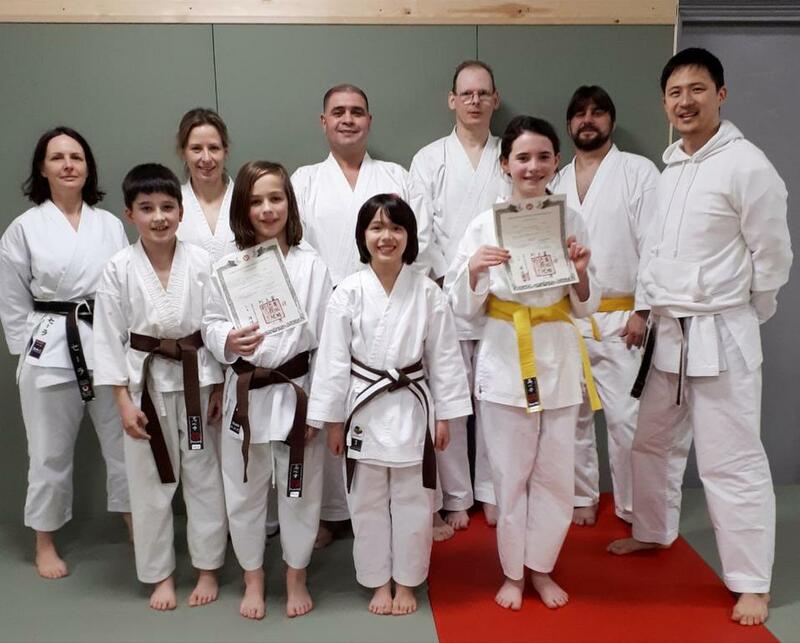 CONGRATULATIONS to those who graded at ISKF HQ on 12/19 March. We now have 2 new yellow belts, 2 red belts, 5 purple belts and 1 purple-and-white belt. Keep up the hard work! A reminder that there is NO KARATE on Saturday 26 March. Classes resume on Saturday 2 April. Have a great Easter weekend! CONGRATULATIONS to Rachel and Connor on achieving orange belt (8th Kyu) at ISKF HQ! Classes resume on 9 January. CONGRATULATIONS to all those who competed at the annual ISKF competition, which was held on Sunday 1 November 2015 at Sobell Leisure Centre. See the full report here. Last chance to hand in your application forms for the annual ISKF competition this Saturday! Test your skills at the annual ISKF competition on Sunday 1 November 2015 at Sobell Karate Club. Click here for details. New Facebook page launched! Don't forget to leave a review. Grand opening on Saturday 5 September. See you there!